A student organized protest of the Stanton Road gate is scheduled to take place on Oct. 20. The organizer of the protest is Skyler DiGirolamo, a sophomore Human Resource Management major. DiGirolamo decided to hold a peaceful protest after meeting with the city Public Works Director Travis Easton where Easton said the gate would be removed once UCCS builds an internal route around the Eagle Rock neighborhood. 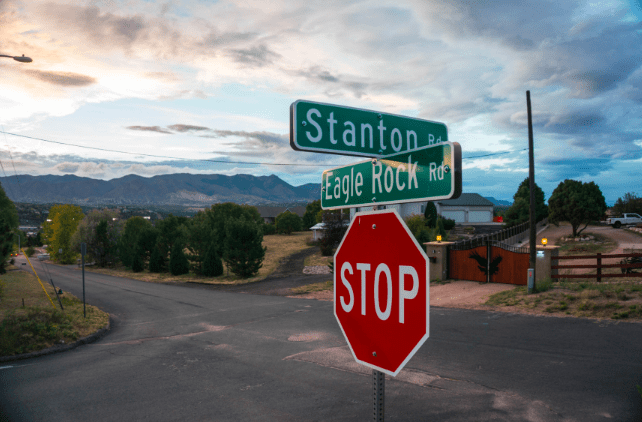 Due to concerns about traffic, noise, and safety in the surrounding community, in July 2018 the city announced the installation of a gate that separated the Eagle Rock Neighborhood from the UCCS campus at Stanton Road. DiGirolamo created a change.org petition calling for the instant removal of the Stanton Road gate. “I want the gate down as soon as possible because it is infringing on my and every other citizen of Colorado Springs constitutional rights,” said DiGirolamo. According to DiGirolamo, the gate cost the city $20 thousand to complete. On Sept. 10, DiGirolamo updated the change.org petition to include an 11 a.m. meeting time at the Stanton Road gate. At the time of print the petition had over 1,100 signatures. DiGirolamo posted an update on the change.org petition petition reminding protestors to be mature and civilized about the protest. “Anyone expressing behavior that reflects otherwise will be asked to leave,” said DiGirolamo. Lieutenant Clayton Garner of the UCCS Police department ensures that the UCCS Police will have a presence at the protest to promote safety.